'When I was very young and on holiday in Scotland, my cousin told me about giant trout that lived in small numbers at the bottom of the Highlands' deepest lochs. They were called salmo ferox, and they were rumoured to be uncatchable.' In his twenties, wholly accidentally, Jon Berry caught one. This led to an obsession that would cost him every pound he had to his name, a few thousand that he did not, a couple of girlfriends and his home. It would take him to Scotland, Cumbria and the wildest corners of Ireland, in the company of a disparate band of fanatics - alcoholics, mountain men, scientists, tree-planting eco-warriors and one genuine soothsayer. Not all of them survived. This compelling account of Berry's mission to catch salmo ferox will have you hooked, fellow fisherman or not. His drive and determination is infectious, and the ups and downs of his life in the process thought-provoking. This is not just a story of a fish - albeit a cannibalistic giant trout of the glacial lochs; it is a tale of compulsion and escape, of the author's rediscovery of a landscape and a clan, and of a willing descent into madness. Jon Berry lives with his partner Victoria in an ancient Wiltshire cottage, 20 yards from a pub and within casting distance of the River Avon. When not teaching in a large secondary school, he is an irregular contributor to Waterlog magazine. 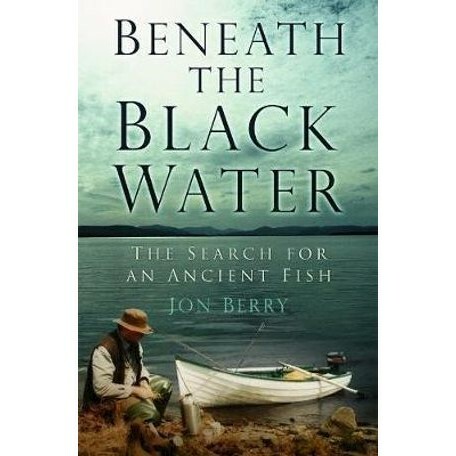 Beneath the Black Water is his second book.